WASHINGTON (CNS) — It’s easier to win an award at the annual Sundance Film Festival, because Sundance gives so many of them, than to win the Signis Award in the United States. Rarer still to win them both with the same film. But that’s what happened with “Me and Earl and the Dying Girl,” a funny drama about awkward teen angst with mortal illness coursing through the plot. See the movie review here. The movie also received Sundance’s Grand Jury Prize because it “comprises the best of both great comedy and drama,” as well as Sundance’s Audience Award. It also has won prizes this year from the Nashville Film Festival and the Heartland Film Festival. 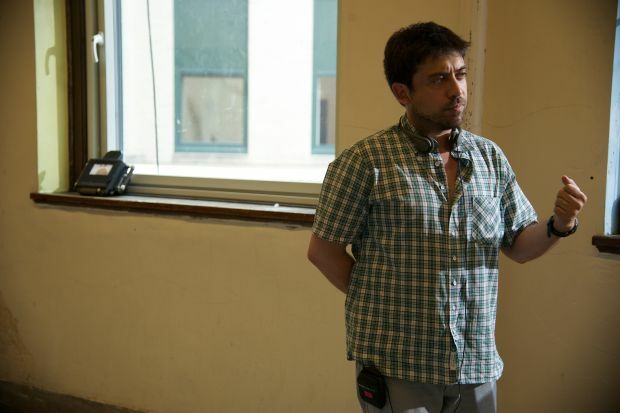 But to director Alfonso Gomez-Rejon, awards are, at best, a means to an end. That someone else was his father, who died not long before Gomez-Rejon was brought on to direct the film. “Me and Earl” exemplifies “how much I love movies and how much I miss my father,” Gomez-Rejon said. “His name is Dr. Julio Gomez-Rejon. He was the best man I’ll ever know. The most ethical being, the most compassionate man, the funniest. When you blink and he’s not there anymore, you have a hard time making sense of that,” he said. “The message of that: You get a sense that maybe there is some sort of continuum. Even though the shape isn’t in the same way, you keep him alive by the mastery of filmmakers.” The images, Gomez-Rejon said, preserve his father’s legacy for himself and for others. “Me and Earl” parallels Gomez-Rejon’s situation. With Rachel, (“the girl”) who has leukemia, asks Greg (“me”) and Earl to make a movie for her — she’s enjoyed seeing their spoofs of classic films, such as “Senior Citizen Cane” and “Gross Encounters of the Turd Kind,” which echoes the director’s “how much I love movies” remark — Greg comes up with the filmmaker’s version of writer’s block. Gomez-Rejon isn’t currently encountering a creative cul-de-sac, but neither is he juggling multiple projects that would interfere with a promotional tour for “Me and Earl,” or vice versa. CNS’ assistant director for media reviews, John Mulderig, was far less lavish in his praise of “Me and Earl” than the Signis jury. Calling the movie “sensitive — though ultimately shallow,” Mulderig said, “Viewers will need to come to the story with their faculties for discernment fully outfitted. PREVIOUS: The Female Thor: Is She Worthy?